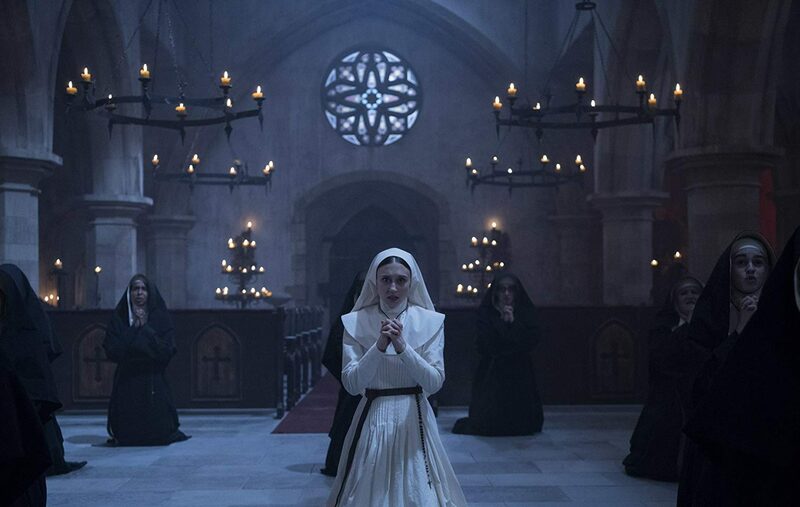 As one of the dumbest, darkest and most dim-witted movies of the year, The Nun allows us to see through the shadows because it wastes so much time in black rooms lit by the faint glow of candlelight. Scenarios are infinitely scarier, even if they’re routine pieces of exposition, when our eyes aren’t given enough time to adjust to the darkness. That’s not the case here. Instead of feeling and fumbling around with great unease and trepidation, this bland movie is simply too balanced and all-seeing for its own good. We anticipate all of the jump-scares before their jack-in-the-box handle makes its final revolution, and the film shows that it takes more than a brooding atmosphere and a dull demon to invoke the true feelings of terror. 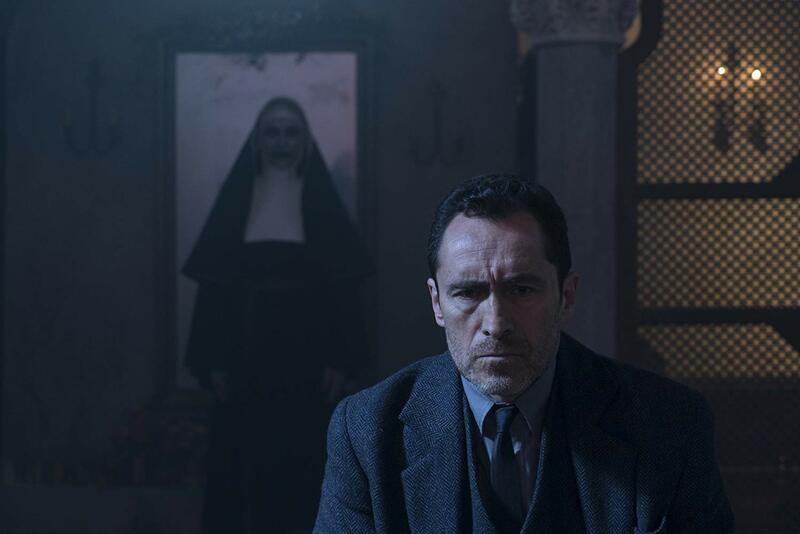 It’s 1952 and Father Burke (Demián Bichir) is summoned by the Vatican to investigate what could possibly be a supernatural occurrence. Off to Romania he goes, traveling with young Novitiate Irene (Taissa Farmiga), still yet to take her vows of Sisterhood. Their guide is Frenchie (Jonas Bloquet), a French-Canadian delivery man who stumbled upon a decaying corpse hanging from the countryside Abbey’s highest floor. Locals don’t speak of the place. Frenchie suggests the many crosses on the lawn are meant to keep evil in rather than out. Father Burke still trudges forward, hiding personal tragedy with the hope of finding retribution. 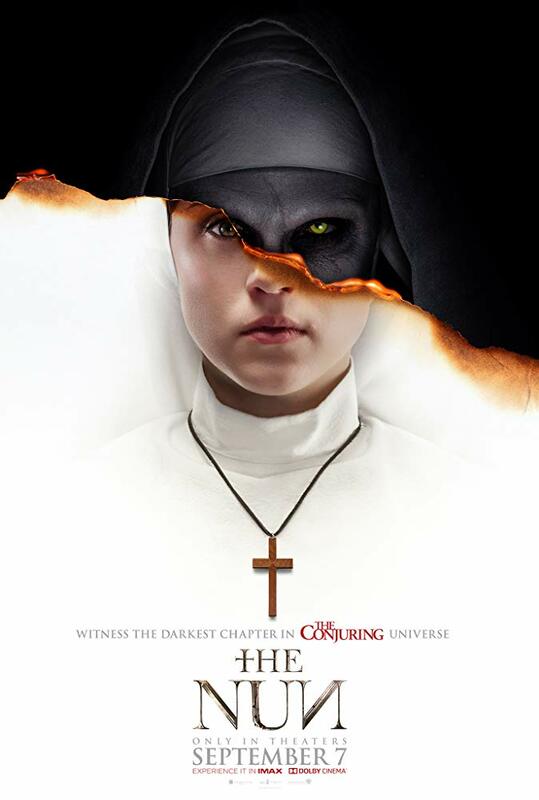 Not only does The Nun play out in a seriously unoriginal manner for this genre, it doesn’t even feel unique within its own franchise. The people pack as much punch and sparpse personality as the rarely seen evil spirit. The Nun uses religion as a plot point, bringing up subjects of belief and conviction in one’s faith without adding any depth to the great fervor it often stirs up. The characters pray and do the sign of the cross and look towards the heavens for refuge, trying to escape the pursuit of an unknown evil that’s been contained since the Middle Ages. 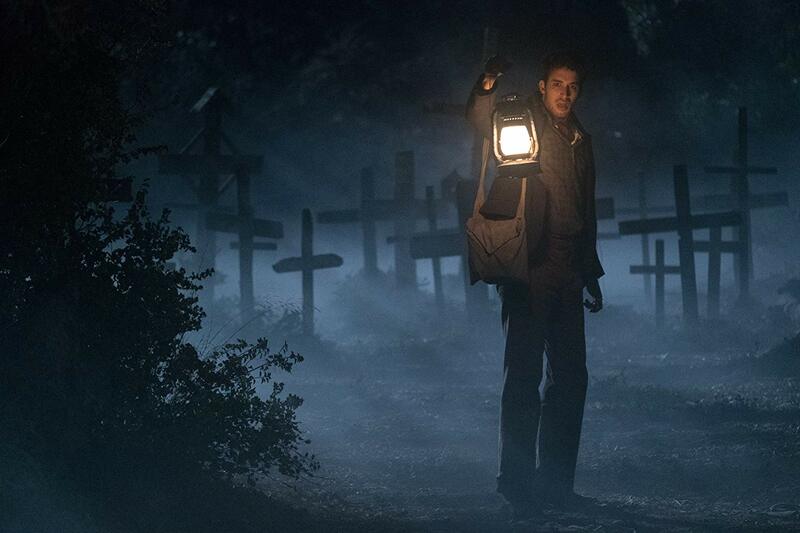 But I still don’t understand the movie’s mythology, especially given its early standing in this distorted cinematic universe, and rather than expand the backstory of 2013’s The Conjuring, Corin Hardy’s picture only further muddies the waters. The Nun capitalizes on the worst tendencies of modern film audiences. This is a movie for people who don’t want to ask questions, who don’t care about detail, and who prefer to see everything without knowing anything. It’s a vacant, absent, empty-headed experience. I have no doubt that we’ll see plenty of impressive Halloween costumes inspired by The Nun this coming October. The movie has marketed an unforgettable antagonist even when the film itself never really gives its bad habit lady enough presence to invade and cause genuine nightmares. It’s a pretender whose worst foible is that is can be so easily copied visually, and that the fear it feigns comes from no palpable or realistic or credible place of creation. The Nun might look menacing, but the film feels incredibly soft, intellectually presumptuous, and as threatening as a smack on the back of the wrist.